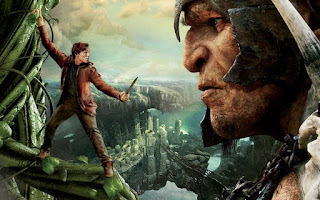 OK, I have to ask: Has Jack the Giant Slayer raised -- or, perhaps more appropriately, lowered -- the bar for what constitutes a flop? I mean, has any other movie posted bigger opening-weekend box-office numbers, and still been written off immediately as a disaster? Postscript: Two esteemed colleagues have pointed out that John Carter, with a $30-million opening-weekend, actually was a bigger "instant flop." So there.